It’s been a busy summer, and as we now approach the season of what is meant to be Goodwill, but in fact for most of us business owners, and managers it can feel like Goodwill went out of the window along time ago! 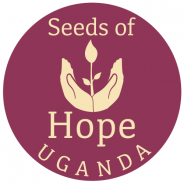 I would like to give you a brief insight into the values that underpin Choc-affair and why I travel to Uganda during the summer to manage our charity Seeds of Hope. This year I was out in North East Uganda for 2 weeks to monitor the progress of our child sponsorship programme: we currently support over 30 children as well as providing sustainable start up funding for an orphanage project called Children Of Hope and Dignity. We travelled around with goats and chickens, delivering them to families we support, we drove down tracks that no vehicle should ever travel, tried to avoid a hippopotamus on our camp-site, and stroked wild baby warthogs. More importantly i laughed and cried in the midst of the whole mess, and had my heart broken over and over again. This area of Africa I have fallen in love with is a township called Kumi, it has a terrible history of war, the Lords Resistance Army, HIV orphans and destitution. It also has hope in the darkest of hours, the children have a joy we don’t often see in the West, where handing over something as simple as football is as if you have given a child the world. Please, take a pause in your day to allow me to tell you about Isaac. During my visit to our nursing friend Flora at the local ‘health centre’, we saw a young mum with 6 months old twins and a small boy who looked about 6 years old. On enquiring, it turned out that the twins were in fact 14 months old and Isaac 11. They were so malnourished, and the twins were stricken with Malaria, their mum just 23 years old with 5 children in total. Their father had deserted her to go and live with another woman, so she lived with her mother in law in her village, 5 kms from the health centre. So, we took action there and then buying them food, clothes and mosquito nets. Realising that this was not going to be enough, we decided to take Isaac onto our sponsorship programme, and we asked our bus driver to take them back to their village with all of their newly acquired belongings. Our person on the ground, Robinah, accompanied them, as the mum was quite overwhelmed with our group of white faces. You would think the villagers would be jealous of the change in circumstances, but quite the opposite. The knowledge that someone from another culture cares, and is willing to do something, can transform a weary village into a place of joyfulness and delight. This was the effect that choosing to sponsor one child had on a whole community. This was for us an easy act of goodwill. There are many more stories of children, hope and also heartbreak, and due to our continued investment in this beautiful place, many more to come I am sure. This is where the heart of Choc-Affair lies! So, when we are tired and stressed with surviving this season within our businesses, how about we raise a glass, because we can and will get through it. Let’s remind ourselves we can choose to bring about some good will and cheer to others.